Not sure if you should buy a memory foam or latex bed? Which one is better and which one works best for your body type and sleep position? Want to get all the facts first? Then this guide is just what you need. The Layla mattress is a good pick for people who know they enjoy the feel of memory foam but aren’t sure which firmness to select. The bed comes with both a medium-soft and a firm side. The medium-soft side is good for lightweight sleepers or those who sleep exclusively on their sides. The firm side is a better pick for heavier people or light and average-weight sleepers who like a firm feel to their bed. The Layla mattress is our favorite memory foam pick since it comes with two firmness levels in one bed and has a firm, supportive core. The Avocado Green Latex bed is our favorite latex option since it sleeps cool and has a zoned coil support system. Memory foam mattresses first became popular in the 90s, when Tempur-Pedic beds were all the rage. Now there are many memory foam mattress companies to choose from for people seeking the signature sinking feeling only memory foam can create. While this type of mattress started out very expensive, the competitive market has made them more affordable. Latex mattresses are rarer than memory foam and, though similar, come with some distinct differences. Latex is more responsive and bouncier than memory foam and doesn’t create as much sinkage. Since latex beds have a more expensive manufacturing process, they tend to cost more. In this article, we’ll cover our top three picks for each type of bed and then give you a rundown of the differences between each type of mattress. Below, we’ll cover our three favorite memory foam mattress options. Each one was chosen for a specific need or sleep preference. The Loom & Leaf mattress is a pressure-relieving, supportive bed that comes in both a medium firm or firm option. The medium firmness option is about a 5 out of 10 in terms of firmness and the firm mattress is about an 8 out of 10. The close-conforming design of the Loom & Leaf bed makes it suitable for back pain sufferers since it enables your muscles to relax and recover as you rest. The cover is made with breathable, organic cotton, which helps you sleep cool, along with the gel memory foam used in the bed. The base layer is made of high-density foam that evenly distributes your weight across the bed to provide support. 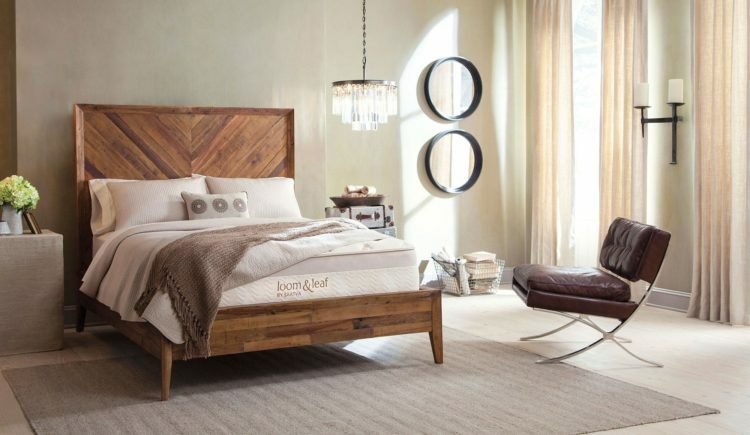 The Loom & Leaf mattress absorbs motion well like other memory foam beds do, making it a good choice for couples. The mattress comes with free White Glove delivery, a 15-year warranty, and a 120-night sleep trial. 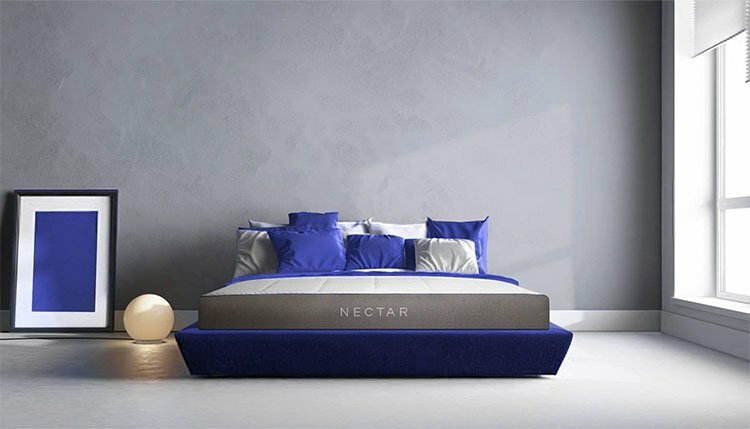 The Nectar mattress uses four foam layers for pressure relief and conforming comfort. 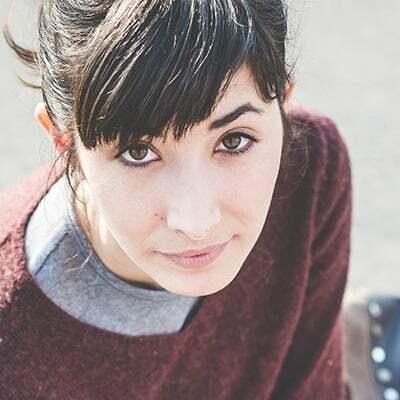 It’s a medium-firm bed, at about a 6 out of 10, so it’s above average in firmness. This makes it suitable for sleepers who are carrying some extra weight, as a supportive surface that will keep the spine in alignment is essential for bigger people. Sleepers of average or lighter weight will probably do well with the Nectar mattress if they sleep on their back or stomach. Side sleepers of average or lighter weight might find the bed a little too firm. This mattress isolates motion well, making it a good choice for people with restless partners or pets. It comes with a lifetime warranty and 365-night sleep trial. The Layla mattress is a good pick for people who know they enjoy the feel of memory foam but aren’t sure which firmness to select. The bed comes with both a medium-soft and a firm side. The medium-soft side is good for lightweight sleepers or those who sleep exclusively on their sides. In the side sleeping position, your body weight is concentrated in a small surface area (the hips and shoulders) and proper cushioning is essential for comfort. The firm side is a better pick for heavier people or light and average-weight sleepers who like a firm feel to their bed. Each side of the Layla mattress has memory foam layers infused with copper to help disperse heat. The middle of the bed is made with a dense foam that provides a supportive core. The Layla mattress comes with a lifetime warranty and 120-night sleep trial. The Zenhaven mattress is a sustainable mattress made with Talalay latex, a naturally sourced material that comes from the rubber tree. This type of latex provides pressure relief and is easy to switch positions on since you’ll never feel stuck in the bed. 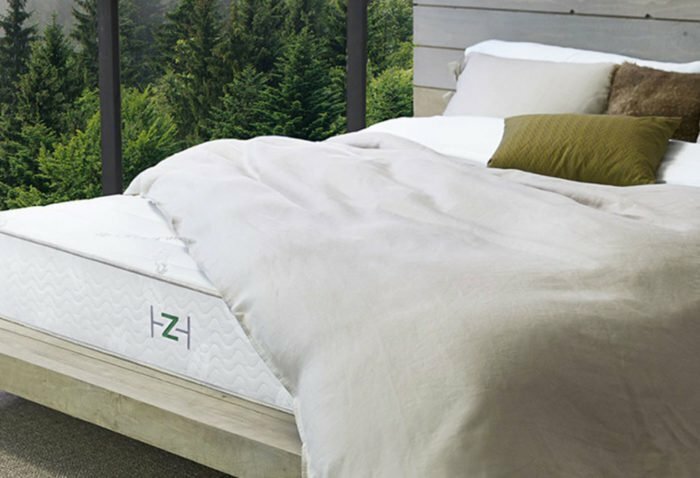 The cover of the Zenhaven mattress is made with organic cotton, a breathable material that helps keep your sleep temperature cool and comfortable. If harsh chemicals and pesticides are a concern for you, this eco-friendly pick should ease your mind. Latex isolates motion fairly well, which makes the Zenhaven mattress a good pick for couples. Plus, the material is very durable and can be expected to last at least seven years. The mattress comes with two firmness levels in one and can be flipped between the medium soft side (4 out of 10 firmness) and the firm (7 out of 10) side. The Zenhaven bed comes with a 20-year warranty and 120-night sleep trial. The Nest Bedding Latex mattress should feel comfortable in all sleep positions, as long as you choose the right firmness level for you. The softest option is about a 3 out of 10 in terms of firmness and should work well for lightweight sleepers, but heavier sleepers will sink in too far. The medium option is about a 5.5 out of 10 for firmness and should work well for combination sleepers since it’s designed to support the average person and multiple sleep positions. The firmest pick (7.5 out of 10) is recommended for back sleepers, stomach sleepers, or people who are overweight, as it will provide the supportive surface necessary for this sleep position and body type. Each model comes with a core made from Dunlop latex, a high-quality mattress material. The mattress isolates motion well and is a good pick for pet owners or couples. This bed comes with a lifetime warranty and a lifetime comfort guarantee. The Nest Bedding Latex mattress is definitely pricey, but you get what you pay for. The Avocado mattress is a luxurious bed that uses organic materials in its construction, including organic wool and cotton. It also comes in a vegan option that doesn’t use wool. The Avocado is made with Dunlop latex, which is known to provide top-notch support and a cool sleep experience. 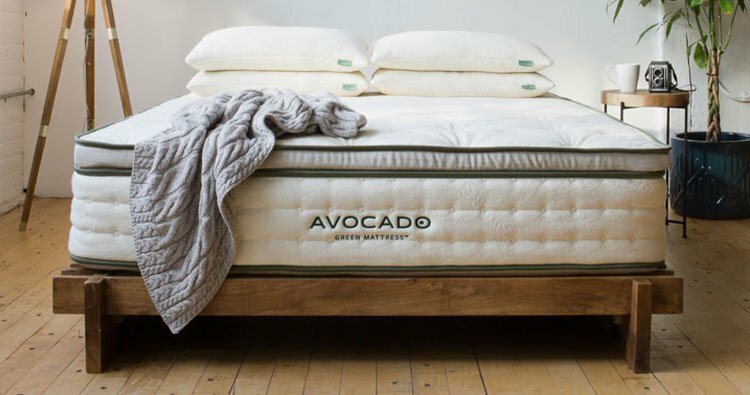 Latex mattresses have a long lifespan and the Avocado mattress is no exception to that. The Avocado Green Latex mattress comes with a zoned coil design to provide custom support to different parts of your back. You can choose between a medium (5.5 on a 10-point scale of firmness) or a medium-firm model (6.5 out of 10) in this bed. The mattress is a good pick for people who are sensitive to allergens due to its natural materials. The Avocado Green mattress has a higher-than-average price point and comes with a 20-year warranty and 100-night sleep trial. What’s the main difference in the feel of a memory foam versus a latex mattress? In general, memory foam creates more of a deep hug or sinking sensation than latex. Softer memory foam models will have more of this sinking feeling, while a firmer memory foam bed won’t create as much of a hug. This cradling effect relieves pressure points and makes the mattress conform closely to your body. Latex, on the other hand, creates pressure relief but you’ll feel more like you’re sleeping on top of the mattress than sinking into it. Since memory foam is a very specific feeling that not all sleepers appreciate, latex provides pressure relief without that factor. Latex also has more of a springy feel than memory foam, which responds slowly. A common issue with memory foam beds is that they retain heat more than other mattress types. This was more of a complaint with older models and newer manufacturers usually include cooling technology in their memory foam beds. However, latex has much less of a heat retention issue as it’s a naturally breathable material. Motion absorption refers to how well a mattress prevents vibrations from traveling through the bed. This absorption function is a key feature to look for when you share your bed with a partner. When it comes to how well a bed will isolate motion, memory foam is the clear winner. 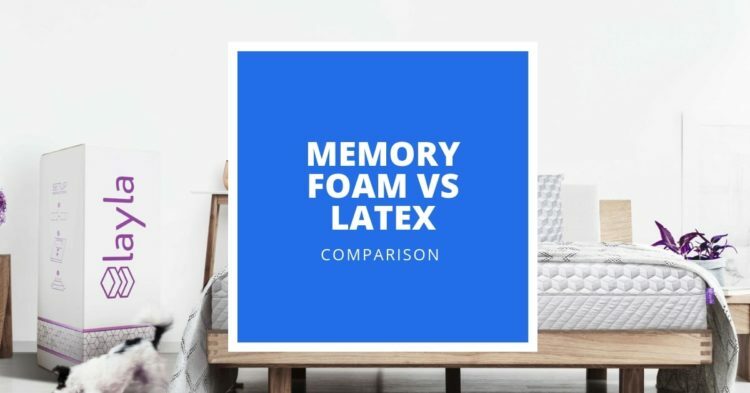 Latex isolates motion better than most innerspring mattresses, but especially light sleepers may want to opt for a memory foam bed over a latex one. When it comes to durability, it’s hard to beat latex. Latex is resilient, springy, and often made from naturally-sourced materials. While memory foam beds can last a long time, this varies highly depending on the quality you select. More expensive memory foam models, such as Tempur-Pedic beds, are expected to last much longer than a model that costs under $1,000. Memory foam mattresses come in a wide range of quality and price. You can find one for less than $500 or spend as much on one as you’d spend on a used car. Latex beds, on the other hand, haven’t been around for as long, so they tend to cost a lot. Perhaps, in the future, the competitive market will drive latex mattress prices down. But for now, you can expect to pay a lot for the specific benefits of latex. Overall, whether you prefer a latex or memory foam mattress depends entirely on your needs, budget, and sleep preferences. Remember that memory foam creates a sinking feeling while latex has a springier feel. Both provide pressure relief, while latex tends to sleep cooler and cost more. Our favorite memory foam bed is the Layla mattress, which comes with two firmness levels in one for people who aren’t sure what they prefer. Our top latex pick is the Avocado Green mattress, which is made with sustainable, all-natural materials and is highly durable. 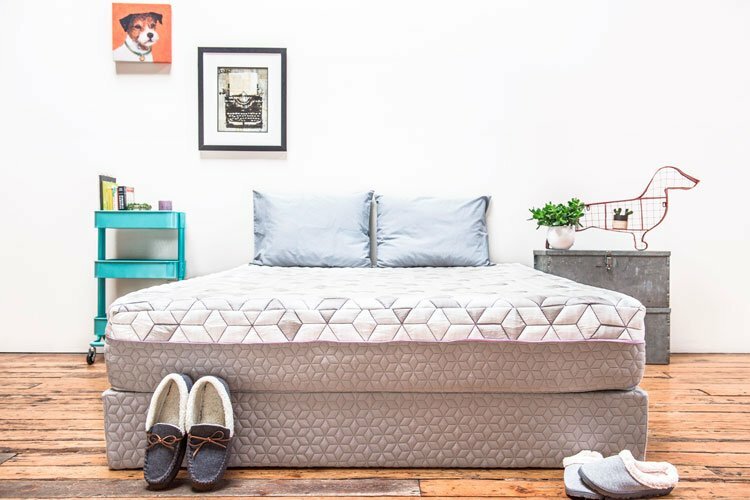 BedInABox Buyer's Guide 2019: Which Of These Memory Foam Mattresses Is Right For You?